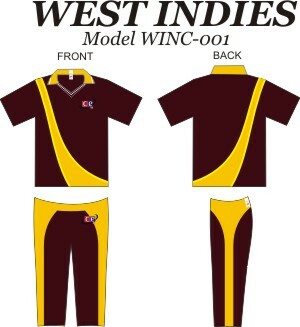 We can now make custom cricket uniforms (shirts, trousers and caps) with your team logo. 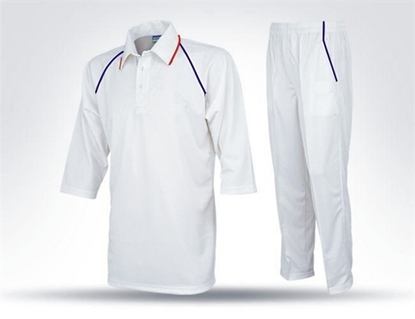 The uniforms will be made from high quality polyester/cotton fabrics using high stitiching & printing by most professional apparel manufacturer. The minimum quantity for team orders is at least 15 uniforms. We need to have order in our system before we will do any design work on your order. Your logo can be printed on the front of shirts and pants once. 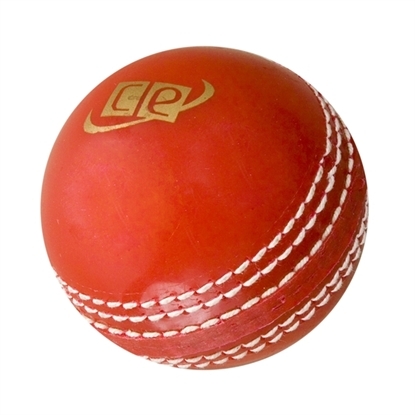 Once you place the order with us then please email us the instructions including preferred color, sizes, names and numbers of the players in email with your order number at info@cricketequipmentusa.com. 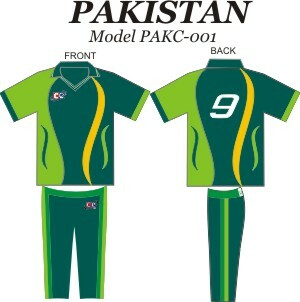 After receipt of your order we will email you a graphic proposal of your uniform and once you approve the proposed sketch then we will move to production. 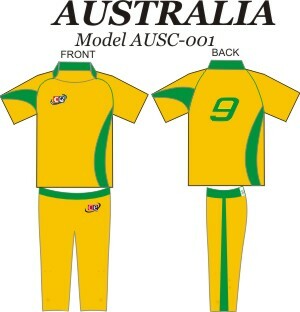 Delivery time frame for custom uniforms is about 4 to 6 weeks. 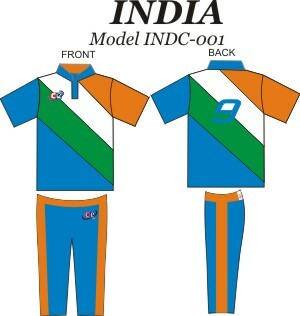 Our Company logo (CE) is printed on all uniforms in addition to your logo and other information you provide us. The price indicated below is only for (Shirts and trousers) there is additional charge for caps and you can select it by checking the boxes if you wish to do so. The available design options are pictured above, you can select the colors and design options from the design menus below. We have tried to make the ordering process as easy as possible to speed up the ordering and delivery timeframe. You can change the colors combinations but design pattern will remain the same. 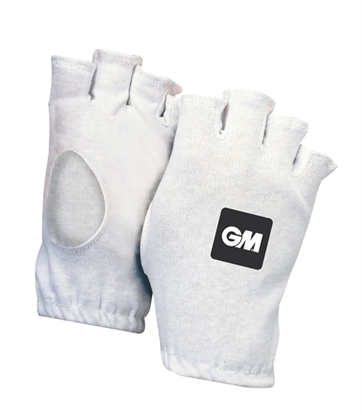 In order to do a professional job we need at least six weeks for processing and delivery of the order. We currently do not do rush orders as there is a possibility to mess up the order in short timeframe which may result in customer dissatisfaction and also our reputation. The size information should be provided separately we follow the Gunn & Moore size chart as an standard for making our custom kits, there is no difference in pricing for small medium and large sizes. 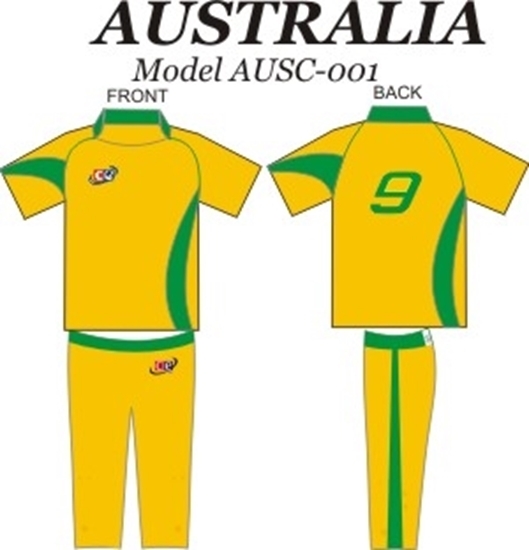 You will not see an option for sizes in our design your uniforms page, the information related to sizing, numbering and names should be sent separately in email to info@cricketequipmentusa.com after placing your order with your order number in subject line of the email. 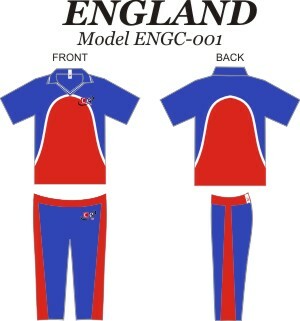 After placing your order we will email you a proposal graphic of the design with your colors selection. You may also send us an email letting us know how would you like the colors to appear on the selected pattern.